October is breast cancer awareness month, so time to check on what you can do to help prevent it and help to deal with it when diagnosed. Will Removal of the Ovaries Cut Your Cancer Risk? Because of the high incidence of breast cancer, most women know at least one woman – and often more – who has been diagnosed with the disease. Breast cancer awareness is about more than running marathons and wearing pink – it is an opportunity to update yourself with the latest information. There are a number of approaches, and Dr John Lee’s pioneering work on using natural bioidentical natural progesterone plays a key role in breast cancer prevention, and can safely be used by women with both a risk and history of the disease. It is used by women having chemotherapy and/or radiotherapy and progesterone is known to have the effect of dampening down the stimulating effect of oestrogen breast tissues –and this is exactly what you wish to achieve to give yourself maximum protection against breast cancer or its recurrence. Dr John Lee – the pioneer of natural progesterone cream usage – stated that in his view using bioidentical progesterone would help counteract the negative side effects of drugs such as Tamoxifen. The drug, and similar ones, do have serious reported side effects whereas natural progesterone does not have any reported side effects after many years of use throughout the world. This view is endorsed by Dame Dr Shirley Bond who is an experienced private GP with many years of prescribing bioidentical hormones for both hormonal health and osteoporosis. As with so much else, it comes down to dealing with excess oestrogen, known as oestrogen dominance, and having the best diet and lifestyle to minimise your risk. 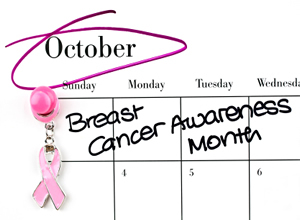 Breast cancer is the most common cancer in the UK with the highest risk being in women over the age of 50. But what is less well known is that it can affect men too, with around 341 being diagnosed every year. Dietary and lifestyle factors such as increased rates of obesity, high alcohol intake, high fat and low fibre diets have all been blamed for the observed increased rates of breast cancer, however a clear link has not been found. If you believe – as I do – that you are what you eat then the new field of nutrigenomics (the study of how food or bioactive food molecules affect our genes) is an exciting area combining genetics and nutrition. It is suggested that consuming foods that have a nutrigenomic effect will lead to certain genes being switched on or off. “With a strong trend and demand for prevention and self-care, we are on the brink of a new era. In the future, we may be able to provide more personalised dietary advice to individuals who have inherited gene variants that increases their risk of developing breast cancer. Dieticians and nutritionists play a crucial role in promoting a healthy diet and lifestyle and can advise on food choices before, during and after a cancer diagnosis has been made. Early diagnosis is critical and taking preventative measures by achieving hormone balance, adopting a healthy diet and lifestyle is certainly a step in the right direction of lowering your risk. It is recommended you try to maintain a healthy body mass index (BMI) range between 18.5 and 25 for women. Although this is not the sole indicator of a healthy body, it is useful as an indicator of body status. – Eat plenty of plant-based foods such as fruits and vegetables. The intake of fibre from fruits and vegetables and isoflavones (from soya, beans and legumes) have been linked to a lowered risk for developing breast cancer. The recommended minimum is 5 portions a day, but for maximum benefit try to include more than that. – Reduce saturated fat intake and replace saturated fats (from animal products) with poly and monounsaturated fats such as those found in olive oil, nuts and avocados. – Reduce salt intake by avoiding processed food as well as cured and pickled foods. In addition, avoid using extra salt at the table. – Avoid eating refined sugars such as those found in biscuits, cakes and pastries, or at least seriously limit your intake. – Cut down your alcohol intake and knowing your limit is important. A high alcohol consumption has been linked with increased risk of breast cancer. 2-3 units per day or a maximum of 14 units per week maximum, and have some alcohol free days. One unit of alcohol is equal to ½ a standard glass of wine (175ml). Dealing with oestrogen dominance is key to dealing with cancer, and the following articles have more information on that. it would be too late to wait 2 weeks to do the D&C).For some reason, I just didn’t think it felt right. The dooctr let me stay a bit longer to make the decision. I IMed my friend, and she said it is strange because usually they see the heartbeat on the 8th week, and I was only about 7 weeks at that point. I mentioned that to the dooctr, but she said mine is a vaginal ultrasound so it is much more sensitive than abdominal ones.I ended up hanging out for a few hours (! ), until my latest HCG levels result came back. It went way up. That was the time when the dooctr had hesitations also. So she decided to redo the ultrasound in 2 days (that would have been the day I supposed to have the D&C), and if there were no improvement, we’ll do the D&C the next day, so at least my husband can spend one more day with me after the surgery.I was really hopeless when I went back. There was no heartbeat still, but they found some development. Therefore they decided to hold the whole thing off, and recheck again the week after. My husband left town then, and I was still bleeding/spotting for weeks. I was so afraid the entire time (especially when the husband was out), reading all about miscarriage and prepared to rush to the ER if needed. But everything turned out fine! They found the heartbeat in the following check up, and everything has been going just great since. My due date is early Feb next year. Fingers and toes crossed.